On January 19th, 2003, I was a high school student in Washington D.C., huddled against the wind in a massive crowd all holding up signs declaring we were against the illegal war that was about to start. I didn’t have a full understanding of the history that lead our empire up to that point, but standing there, I knew I didn’t want more of my community getting sucked into a war to make some rich straight white men even wealthier and powerful. In the mix of body heat, cigarette smoke, and chanting, staring at the heavily armed riot police standing nearby, I knew I was standing on the right side of history. My name is Tory Smith. 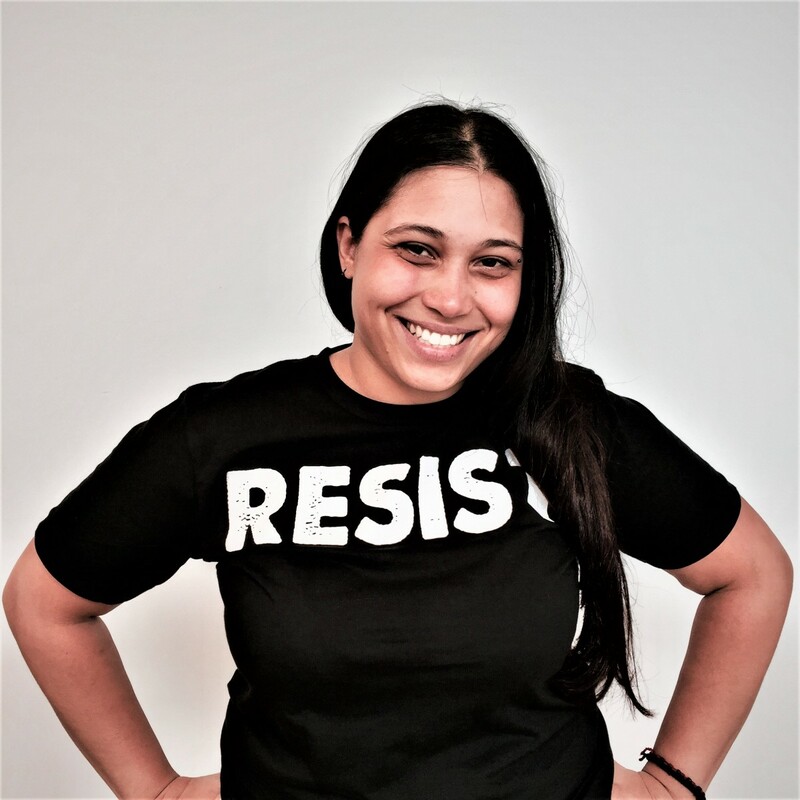 I’m excited to introduce myself to you as WRL's new National Organizer, making the connections between peoples' liberation movements everywhere by building a movement that isn’t broken down along artificial borders. Growing up in a Quaker meeting as the child of a C.O., I formed my own beliefs about war and militarism early on, but always without a solid reference point. 9/11 and the immediate aftermath truly shifted my whole world, bringing me into contact with mentors, comrades, chosen family, and friends that I’ve kept throughout my life. I began doing counter-recruitment work, student organizing, and educating myself on U.S. history not often covered in class. My father’s resistance to nuclear apocalypse, becoming a C.O. while serving aboard nuclear attack submarines, formed the background of my early activism. Since those early days, I’ve been immersed in powerful movements for social change. Supporting the Palestinian call for Boycott, Divestment and Sanctions, opposing U.S. Imperialism and drone warfare, standing up for Black Lives Matter, fighting foreclosures, trying to abolish ICE, and throwing queer dance parties on Mike Pence’s door, I’ve been held in a huge community that believes we cannot live single issue lives. I'm excited to work with Yuni and learn so much from all of you, continuing to build a fierce, principled, intersectional, and caring movement to remove the seeds of war and exploitation from our world.